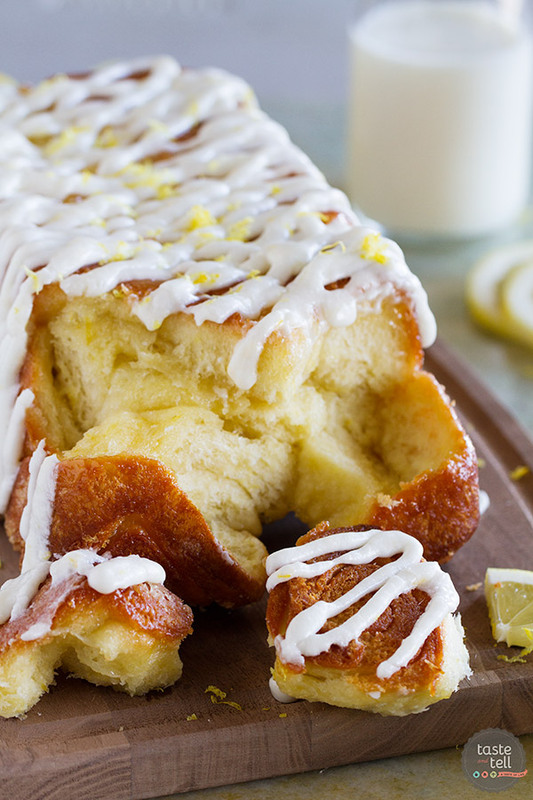 Sweet and lemony, this Lemon Roll Pull-Apart Bread is a great mash up of lemon rolls and pull-apart bread. You won’t be able to stop at just one piece! Around our house, Easter is almost as big of a deal as Christmas. In fact, several weeks ago, my daughter came home from school and was so excited to tell me that Easter is in March this year instead of April. She’s practically counting down the days. And I can see why they are excited. Coloring eggs, the Easter egg hunts, baskets full of chocolate, extra time spent with family – definitely all things to be excited about. And me? I’m always excited about the spring baking!! 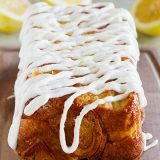 So when I saw a Cinnamon Roll Pull-Apart Bread on the Fleishmann’s® Yeast website, www.breadworld.com, I immediately knew that I could switch this up and make it lemon. I love a good cinnamon roll, but in honor of Easter and spring, I just had to go the lemon route. 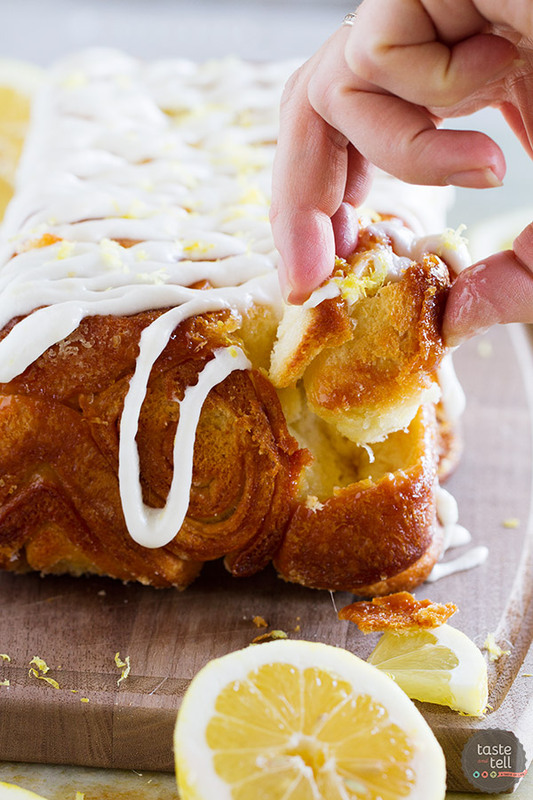 This Lemon Roll Pull-Apart Bread is so fun, and a little bit different from your typical rolls or pull-apart breads. You make mini lemon rolls, then pile them in a loaf pan and bake them, making this fun pull-apart bread. And, it’s actually very easy to make!! One of my favorite parts of this recipe is the lemon sugar. I learned this technique years ago, when I first started blogging, from a Dorie Greenspan cookbook. You take sugar and lemon zest and rub them together, making a lemon infused sugar. Not only is it therapeutic to rub them together, but the smell is amazing. And the lemon flavor really gets infused into your whole recipe. For the bread part of the recipe, you take your basic roll ingredients, adding this lemon sugar in the place of regular sugar. 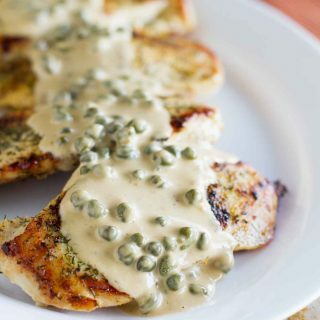 And I used my very favorite yeast, Fleishmann’s® RapidRise™ Yeast, because I know it’s a quality product that I can always count on and it only requires one rise so it helps save time when baking with yeast. When you roll out the bread, you top it with butter and more lemon sugar. 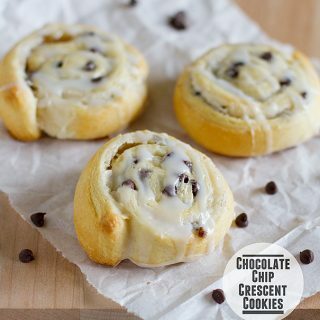 Then roll it up, just like you are making cinnamon rolls. 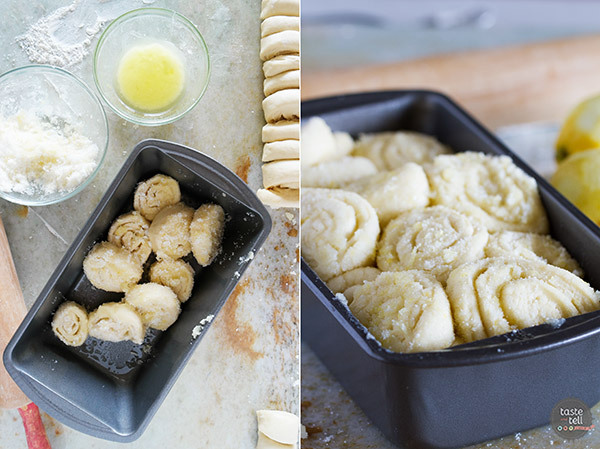 The rolls all get dipped in butter and more lemon sugar, then piled in a loaf pan to rise. Super simple! 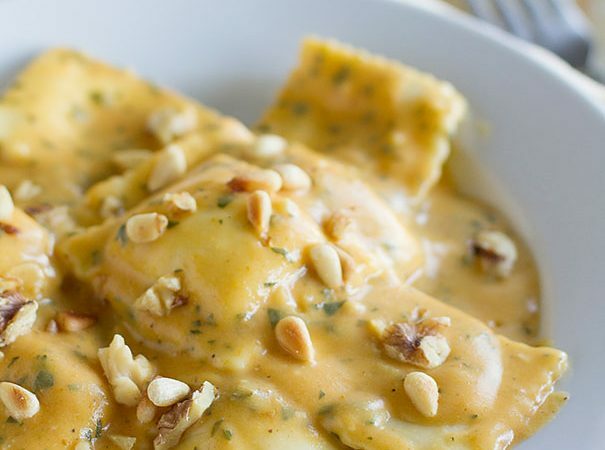 And, you can make this dough in advance and refrigerate for up to 24 hours, making it a perfect recipe for Easter brunch or any another springtime get-together. 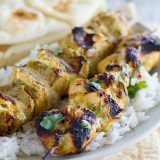 When the bread comes out of the oven, turn it out on your serving plate and then it gets drizzled with a simple icing that has even more lemon flavor. Don’t get scared away by all of the lemon – the finished bread has the perfect lemon flavor to it. I’m not going to lie – I wanted to eat the entire loaf myself. But this recipe is meant to be shared. 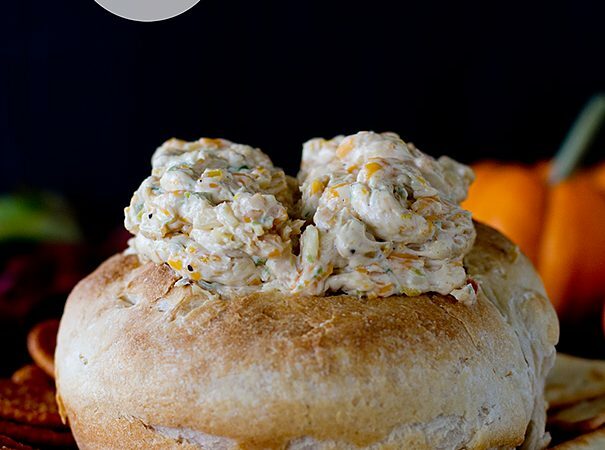 Make a loaf to gift to neighbors or friends to celebrate Easter or spring or bring it to your family Easter dinner. Or do what I’m going to do and make a loaf for your family for Easter breakfast. 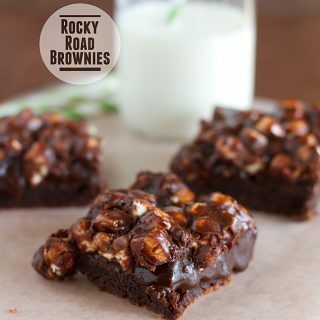 Because baking for others is a great way to show them that you care! 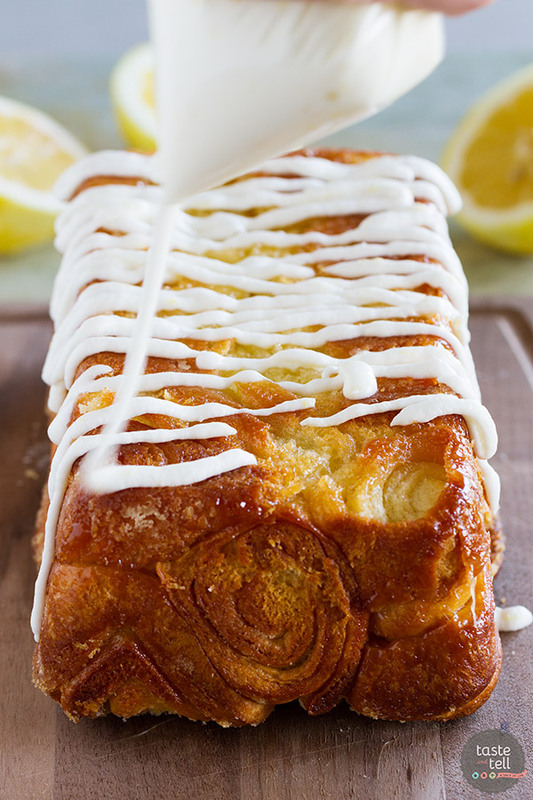 This Lemon Roll Pull-Apart Bread is definitely a fun recipe for spring and it tastes amazing. Little bites of rolled up lemon love – the edges were my favorite because the sugar became caramelized a bit – I really couldn’t get enough of it! I’m hoping you’ll add this to your Easter baking! 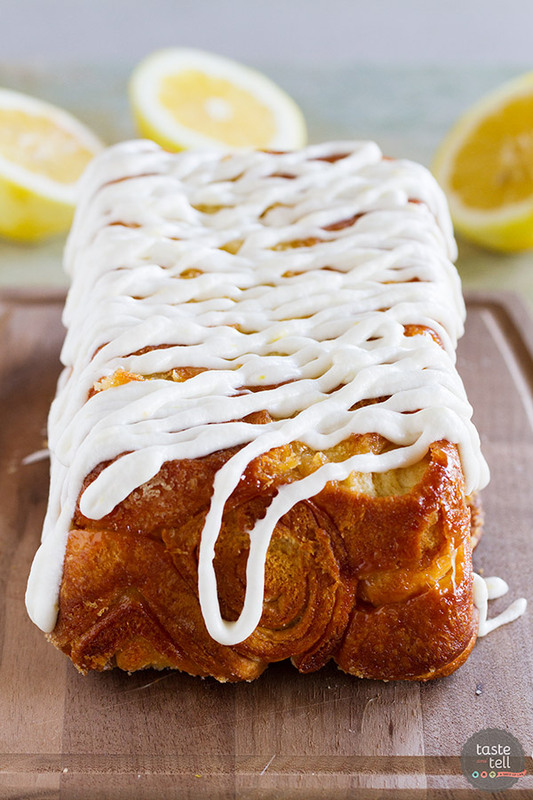 Sweet and lemony, this Lemon Roll Pull-Apart Bread is a great mash up of lemon rolls and pull apart bread. You won’t be able to stop at just one piece! Combine the sugar and the lemon zest in a bowl and rub it together with your fingers until the zest is interspersed through the sugar. In the bowl of a stand mixer, combine 1 cup of the flour, the lemon sugar, dry yeast and the salt and stir until combined. Combine the water and the butter in a microwave safe bowl and microwave on high in 15 second increments until it is very warm, but not hot to the touch (120º to 130ºF – the butter won’t melt completely). Add the mixture to the bowl with the flour. Beat the mixture for 2 minutes, scraping down the sides of the bowl as needed. Add 1 more cup of flour, then beat another 2 minutes on high, scraping the bowl occasionally. Add in just enough of the remaining flour so that the dough will form into a ball. Lightly flour a work surface, then knead the dough until it is smooth and elastic and it springs back when lightly touched with 2 fingers, 6 to 8 minutes. Cover with a towel and let the dough sit for 10 minutes. Spray a 9 x 5-inch loaf pan with nonstick cooking spray. For the filling, combine the sugar and the lemon zest and rub it together with your fingers until the zest is interspersed through the sugar. Measure out 1/4 cup of the mixture and set aside. Roll the dough into a long rectangle, 7 x 24-inches long. Spread the 2 tablespoons of soft butter evenly over the surface of the dough. Sprinkle the reserved 1/4 cup of sugar evenly over the butter. Beginning at the long end of the rectangle, roll it up tightly. Pinch the seams to seal. Cut the dough into 24 equal slices. Dip each slice into the melted butter, then into the remaining lemon sugar mixture. Place the slices in the prepared loaf pan. Cover the pan with a towel and let it sit in a warm, draft-free area until doubled in size, about 45-60 minutes. Preheat the oven to 350ºF. Bake the loaf until the bread is golden brown, 25-35 minutes. Cool on a wire rack for 10 minutes, then invert onto a serving plate. In a bowl, beat the powdered sugar, butter, milk, lemon juice and lemon zest together until smooth and creamy. Drizzle the icing over the warm loaf. 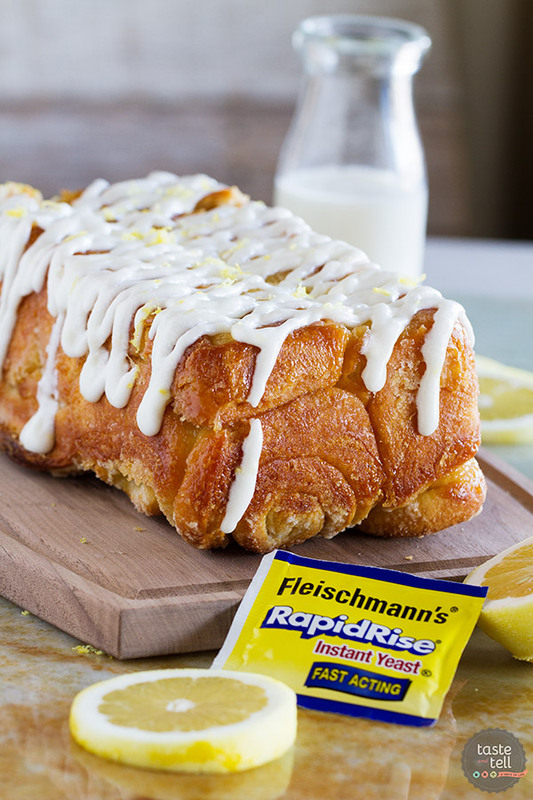 I am a Bake a Little Extra Blog Ambassador and this Lemon Roll Pull-Apart Bread post is sponsored by Fleishmann’s® Yeast. I’m so glad to be able to work with companies and organizations that I truly believe in. Thank you for supporting them, too. It couldn’t be better than lemons and yeast in one thing! 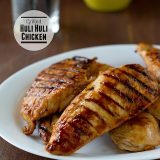 This sounds divine! I can’t say that I necessarily love Easter as much as CHRISTMAS…but if it gets this bread in my life, then I can get excited about it. This is next up on my “to try” list! Easter is a big deal in my family, too! Can’t wait to try this bread! It’s gorgeous. My family would love this! 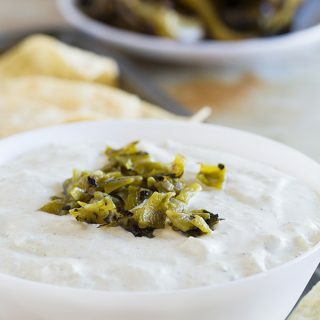 I am adding it to the must-try list! Never would have thought to use the lemon sugar- what a great idea! 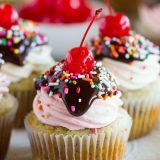 This looks like a perfect spring treat! The egg? You never mention it in the directions. Was it a mistake on the ingredients list or did you skip a step in the directions? Please, help!